Dr. Matt Cooper completed a PhD in Chemistry in 1995 then spent 13 years in the UK, first at the University of Cambridge, then 9 years in start-ups and biotechnology companies. He returned to academia in 2009 to work on therapies that block inflammation via modulation of the innate immune system, novel antimicrobials, rapid diagnostics and modulators of the human microbiome. He has advised and worked with venture capital, pharmaceutical and biotechnology companies worldwide, was a co-founder, CSO and Director of Akubio, and the Founder and Managing Director of Cambridge Medical Innovations (acquired by Alere). He is currently a co-founder and Director of Defensin Therapeutics, Chair of the Scientific Advisory Board of Adenium Biotechnology, and co-founder and Executive Director of Inflazome. He has more than 30 patents and 300 scientific papers. Conor Dalton was appointed Director of Finance in February 2018. Conor is also Finance Director of Opsona Therapeutics Limited, a drug development company based in Dublin. Prior to this, he held the position of Vice-President, Finance and Principal Accounting Officer of Amarin Corporation plc from 2005 to January 2010. Prior to Amarin, he spent approximately nine years with Elan Corporation plc, holding various roles in Ireland and North America, most recently as Director of Finance (US). Conor is a graduate of the Stanford School of Business “Strategic Leadership for CFOs” program. He is a fellow of the Association of Chartered Certified Accountants. Thomas Jung, MD/PhD, is a physician-scientist experienced in Translational Sciences, Preclinical and Clinical Development of small molecules as well as biologics. He most recently served as the Chief Development Officer at Auris Medical, Basel, Switzerland before that as the Chief Medical Officer for Delenex Therapeutics, Zürich, Switzerland. Prior to joining the biotech industry, Thomas was a member of Novartis’ R&D Group for a total of 13 years. His most recent role there was Head of Translational Medicine EU at Novartis, Basel, Switzerland. He is a board certified Dermatologist holding an Associate Professor position for Dermatology at the University of Göttingen, Germany. 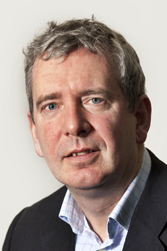 Angus began his industrial career at Merck in 1984 at its Neuroscience Research Centre in the UK. At Merck, he was responsible for the management of multiple drug discovery programs leading to the nomination of pre-clinical drug candidates, and served on product development teams progressing compounds through to Phase I clinical trials. In 2006, he joined BioFocus, part of the Galapagos group, as head of Medicinal Chemistry and DMPK, and continued in a broader management role as Executive Director following acquisition by Charles River Laboratories in 2014. Angus has extensive experience across a wide range of therapeutic areas and drug target classes. He is co-author of more than 60 papers and an inventor on more than 70 patent applications. Angus studied Chemistry at the University of Glasgow in Scotland where he was awarded his Ph.D. He performed his post-doctoral research at the University of Manchester institute of Technology in the lab of Prof. Bob Ramage. Kim gained her PhD in Pharmacology from King’s College London before going on to study receptor and neurotransmitter changes in Alzheimer’s Disease as a post-doc. In 2003, Kim joined the DMPK department of the Neurology & GI CEDD at GSK. Within this, and later the Neurosciences CEDD, she transitioned to the role of DMPK representative to provide DMPK strategy and expertise to projects across all stages of drug discovery. Kim joined BioFocus in 2010 which was subsequently acquired by Charles River Laboratories in 2014. At CRL, Kim was responsible for the DMPK strategy and provision to integrated projects across multiple therapeutic areas (including CNS, immuno-oncology and ocular indications) and the leadership of a team of DMPK scientists. To date, Kim has contributed to 18 scientific publications. David completed his PhD in heterocyclic chemistry at Hull University before going on to post-doc with Professor Chris Moody (Loughborough University) and then Professor Andreas Pfaltz (Max Planck Institute). His first industrial position was at Organon Laboratories in Newhouse, Scotland where he spent over 5 years as a chemistry and project team leader, working on schizophrenia, pain and depression programs. In 2002 David moved to Cambridge to take up a senior role at Amedis Pharmaceuticals, which subsequently merged with Paradigm Therapeutics and the combined company was later acquired by the Takeda Pharmaceutical Company. At Takeda, David was a parallel project leader, leading the team that delivered a compound into the clinic for a challenging CNS target. Upon leaving Takeda he was Associate Director within the Medicinal Chemistry department having with responsibility for analytical chemistry and DMPK. David currently has 16 scientific publications and is a named inventor on 9 patents. 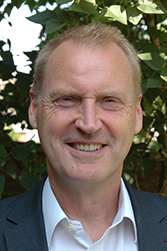 Luke O’Neill is Inflazome’s Chief Scientific Officer as well as Professor of Biochemistry, Trinity College Dublin. His 18-person research lab focuses on the molecular basis to inflammation. He is a world authority on innate immunity, which lies at the heart of inflammation, with a particular interest in Toll-like receptors, inflammasomes and metabolic reprogramming. He was awarded the Royal Dublin Society / Irish Times Boyle Medal for scientific excellence in 2009, the Royal Irish Academy Gold Medal for Life Sciences in 2012 and the European Federation of Immunology Societies Medal in 2014. He was elected a member of EMBO (European Molecular Biology Organisation) in 2005 and a Fellow of the Royal Society in 2016. In 2014 Thomson Reuters named him as being in the top 1% in the world working in the areas of Immunology and Pharmacology. Jeremy began is biotechnology career in the Business Development group of Genentech, Inc in 2002. At Genentech he was responsible for executing over 40 licensing, investment and collaboration transactions. He then led Business Development and was a member of the Senior Management team at Opsona Therapeutics before becoming a founder and CEO of immuno-oncology company TriMod Therapeutics. He joined HS Lifesciences in 2014 to provide start-up and business development support to portfolio companies ImmunoQure AG and Ethris GmbH. Jeremy studied Biochemistry at the National University of Ireland, Galway where he was awarded his Ph.D. He performed his post-doctoral research at the University of California, San Francisco in the lab of Prof Rik Derynck. Jeff completed a PhD at the University of Manchester on mechanisms of angiogenesis. He started his industrial career at Glaxo Group Research in 1989, working on cell biology programmes including mast cell signalling and inhibition. He has worked in a number of small, medium and large Pharma and Biotech companies across a range of therapeutic areas (GI, Inflammatory Disease, Cardiovascular) and encompassing small molecules and biologics. He has held a number of senior roles with a particular emphasis on translational medicine and clinical operations, with a focus on early phase clinical programmes. Joanna has over 30 years of experience in regulatory affairs for pharmaceutical companies while working in the UK regulatory agencies. She has worked on hundreds of applications for drug approvals in the global regulatory markets. Joanna’s experience covers drug development, from first in man to phase 4, submitting INDs, gaining approval CTAs and obtaining scientific advice from Regulators for small molecules and biotechnology. Joanna has held senior positions as the Global Regulatory Lead for various therapeutic areas including vaccines, oncology and HIV products, she has extensive experience with US and EU paediatric submissions and Orphan Designations. She has previously had both permanent and interim roles as Head of Regulatory for start-up and established companies. While working for the Medicines and Healthcare Products Regulatory Agency (MHRA), Joanna was senior assessor responsible for Biotechnology applications considered by the Committee on Human Medicinal Products (CHMP). Joanna has held board level positions and has been involved with fund raising for start-up companies, as well as writing business plans. Joanna is a member of the Royal Pharmaceutical Society of Great Britain, a Fellow of The Organisation for Professionals in Regulatory Affairs (FTOPRA), a Fellow of the Royal Society for the encouragement of Arts, Manufactures and Commerce (FRSA) and Fellow of the Royal Society of Medicine (FRSM). Joanna has a BSc Pharmacy (Hons) and a first class degree in Law.